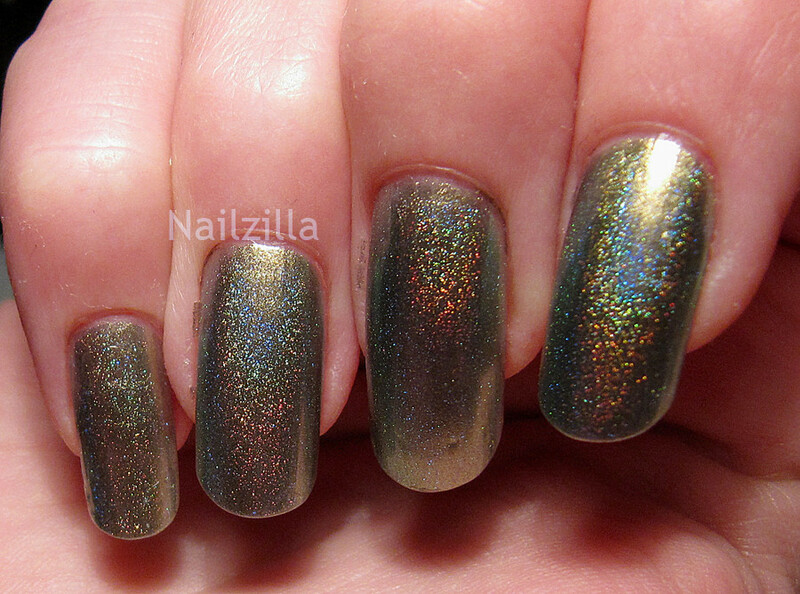 I saw the Ozotic mish-mash polished swatched at Nailderella and I was inspired to try something similar on my own. For the base, I used OPI Just Spotted the Lizard from the Spiderman collection and HITS Hefesto holographic topcoat.It didn't turn out as holographic as I hoped, but I could have always done more coats of Hefesto. I want to keep experimenting with this and different duochromes to see which will have the strongest effect! Duochromes are probably my favourite finish of them all... I love them more than any polishes. What is your favourite duochrome polish of all time? I'm with ya on flakies, you can never go wrong! Except the removal part. Foil method is awesome though, it really does make glitters more than pretty bottles. I think this is a really cool combo! man i seriously need to get me some hits hefesto. it turns everything into holo magic! Hits has got to come to me asap! The only duochrome I have is Péridot... Which ones do you recomend I buy? 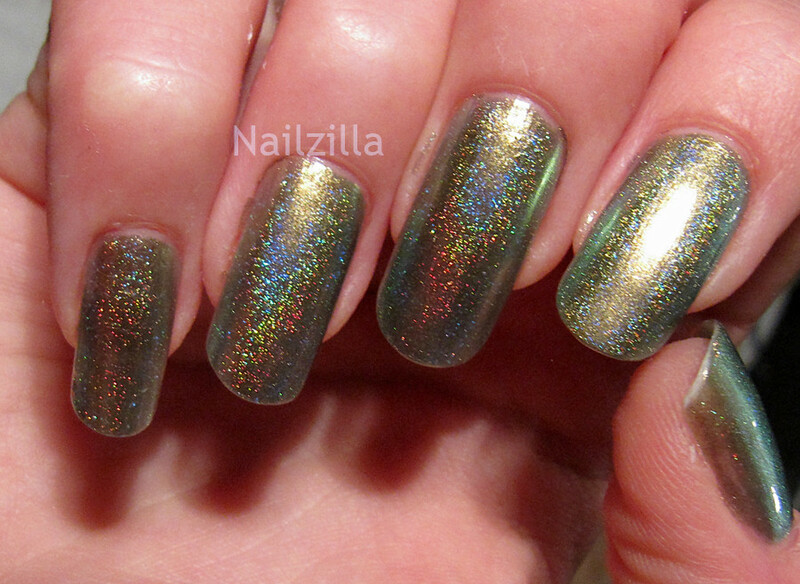 There's a lot of HITS holos and duochromes... Here's a link to swatches, they have them pretty much of every color!